Life insurance is a tough subject. No one really enjoys thinking about the circumstances that surround needing life insurance benefits, yet it’s something we all have to face at some point, whether for ourselves, or for a loved one. 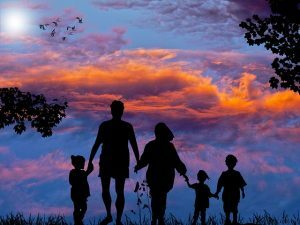 Few people fully understand exactly what a life insurance policy includes, which makes it hard for them to judge how much is needed, and what their family would be left to work with should they pass unexpectedly. That’s why we give you this: a description of what life might look like if you died without life insurance coverage. We hope it will help you better think through what your own policies look like (if you have any) and how to make sure your family is taken care of no matter what life throws your way. I died without life insurance. It wasn’t expected. One day everything was fine…and one week later after a doctor’s appointment, and blood work, and a call from a specialist my entire life was placed into a 3 month prognosis. 3 months. 12 weeks. 84 days to live what should have been years of enjoying my family, my friends, and all the things I had worked hard for. We weren’t prepared for this. We have soccer, and band camp to pay for, and college dorm supplies to buy this summer. Only old people face death. Only sick people have to think about final expenses. Except…now I am that sick person. So sick, in fact, that the 12 weeks whittles down to only 6, before my family is facing making decisions that no family wants to make. Decisions to be made in the midst of grief, and doctors, and waiting room cups of coffee in between talking to hospice care and an endless stream of nurses. And just like that, it was over. But it wasn’t really over. Not for my family. Thousands of dollars being billed for the hospital, the specialists, the medications, the funeral expenses. That “nest egg” we saved to pay for a vacation before the kids went to college? It won’t even cover a fraction of the total bill. What will my loved ones do now? Why did no one warn us about this? The above story? While fictional, it echoes a sad situation that many find themselves in on a daily basis. Life insurance always seems too expensive to fit into your monthly budget. It’s an “extra”…until it isn’t. The above situation gives a glimpse into just how astronomical end of life expenses can be, especially with modern day funeral and burial expenses totaling between $8,000 and $10,000 in the US. Few people can afford to pay out that kind of cash short notice, and that’s without considering any medical bills left, debt to pay off belonging to the deceased, etc. This scenario is even more devastating if the deceased is the primary breadwinner of a household, as daily life expenses will be an additional burden to a spouse and children left behind. That’s why life insurance is a commodity, not a luxury. It’s a needed benefit that protects the ones you love most, even when you can’t be there. It’s not just about a funeral, although a life insurance policy makes sure your family can afford to pay those expenses easily in the midst of shock and grief. Rather, it’s about all of your end of life expenses. Those medical bills leftover from care received? Life insurance could cover that. Student loan debt that you and your spouse had agreed would be paid off “later” when you could afford it? That could be covered too. The mortgage, car payment, and daycare costs? Even those can be allotted for if you plan ahead and have a life insurance policy tailored to your family. Life insurance is a guaranteed way to continue to love and care for your family, even after you’re gone. 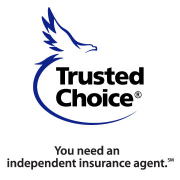 Having an insurance advisor is the key to making sure you have what you need, at a rate you can afford here and now. Don’t wait until it’s too late. Let Carroll Marshall Insurance help you customize a plan to protect your family from the unexpected. After all, you can’t put a price tag on peace of mind.